*No student may be dropped off prior to 8:30 a.m. Car riders should not be let out of their vehicles until the supervising staff member is present. 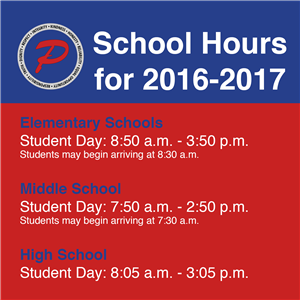 Car riders should plan to arrive no later than 8:45 to give students time to get to their classes before the 8:50 a.m. bell.